Today’s #throwbackthursday post is about Ashton Meadows sidings. Ashton Meadows was formerly the exchange yard between the harbour branch and the line from Portishead to the main line at Parson Street junction. It was also the site of a civil engineers depot. 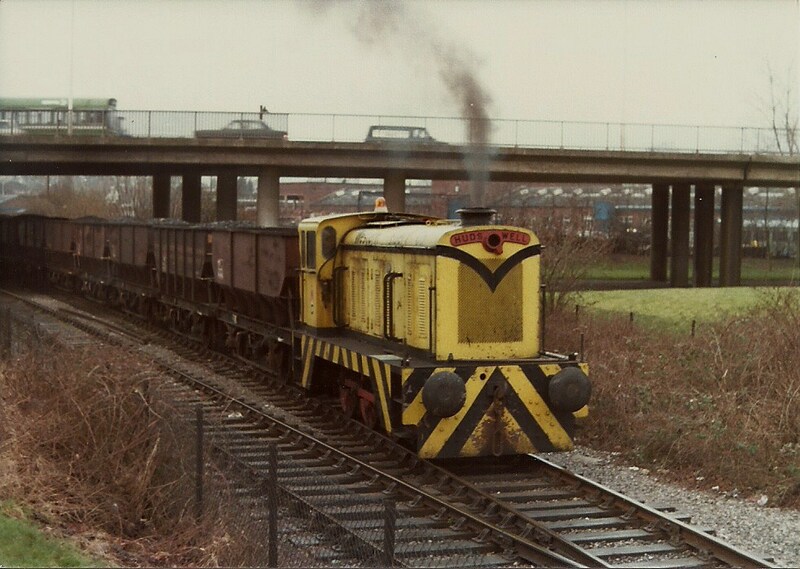 Until 1987, the 0-6-0 Hudswell Clarke diesel shunter ‘Western Pride’ would take loaded wagons from Ashton Meadows, up the New Cut, to the Western Fuel Depot (Behind M and L shed). In 1983, ‘Western Pride’ broke down, and for 3 weeks, ‘Henbury’ was pressed into service, becoming the first preserved steam loco to haul freight for British Railways since the end of steam in 1968. 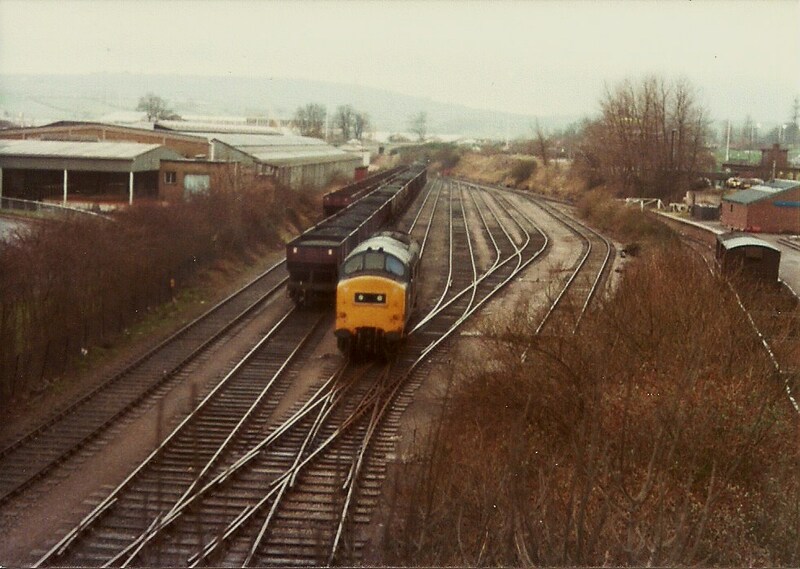 This was the view from the A3029 overbridge on a misty morning in February 1980. These pictures appear with the kind permission of Kevin Redwood. 37302 is running round the loaded 21t hoppers, the empties are ready for the return trip. On the left is the building that later became ‘Megabowl’, and is now the site of Paxton Drive apartments. The area of the former sidings was levelled for the use of construction equipment and site offices. ‘Western Pride’ takes the loaded hoppers out of Ashton Meadows and on toward the docks. This loco is now preserved and currently in storage in the midlands. The trackbed here is now a foot and cycle path leading across Ashton Avenue Bridge, and the route of the proposed Metrobus guided busway. This entry was posted in 'Western Pride' (Hudswell Clarke D.1171), Bristol Docks, Bristol Harbour Railway History and tagged ashton, back, coal, depot, meadows, sidings, throw, thursday by corwinb. Bookmark the permalink.